We have two main divisions - Agriculture Supply and Specialist Retail. Our Agriculture division supplies products to both livestock and arable farms. Our feed activities include the manufacture of compound and blended products from our three main plants at Llansantffraid, Carmarthen and Rhosfawr. Additionally contract manufacturing arrangements with a number of other businesses ensure efficient and cost effective supply to customers outside our core trading areas. An extensive range of supplements has been developed under the Wynnstay brand including minerals, nutritional enhancers and feed blocks. wynnstay_group_lorry.jpgWynnstay was founded in 1917 by tenant farmers of the local Wynnstay estate and was formally constituted as a farmers' co operative shortly afterwards. Over the succeeding decades, the organisation steadily grew. A series of acquisitions during the last 15 years has expanded Wynnstay's trading area to primarily include all of Wales, the North West, Yorkshire and most of the Midlands. Through our history of utilising franchise manufacturers for many of our products, customers are serviced as far a field as Somerset, Sussex and Hampshire. The arable activities primarily based at Shrewsbury, offer a full range of inputs to the arable and grassland farmer. Cereal and grass seed is processed using our modern seed processing plant and sold under our long established Hi-Gene brand. In May 2010 we were pleased to expand our arable activities through the acquisition of Woodhead Seeds Ltd in Yorkshire. To view the Woodhead Seeds Ltd website pleaseclick here. This business supplies a full range of cereal and herbage seeds as well as a full trading service for all combinable crops. GrainLink is a dedicated marketing service for farmers of arable crops. As one of the largest UK distributors of Growhow Fertilisers, Wynnstay is a major supplier of fertiliser throughout our trading area. The Glasson Group was acquired in August 2006 and complements our main agricultural division. Based near Lancaster in the North West, Glasson acts as a shipper and trader of raw materials and operates its own port facilities at Glasson Dock. Owning shipping facilities gives a degree of independence in the procurement of raw materials for both the feed business and its own fertiliser production. In addition, it produces speciality ingredients for the pet food industry, and a range of products used in rations for young livestock. To view the Glasson Group website please click here. Our Retail division consists of three activities. Our country store chain operates from 42 locations across the Midlands, the North West of England and throughout Wales offering an extensive range of products for the professional farmer and country dweller. From pet and equine food, through to animal health products, hardware and clothing, we offer an increasing product range to an ever expanding customer base. Operating under the Just For Pets brand, the retail division also operates a chain of 20 dedicated pet product stores primarily based in the West Midlands. Offering expert advice together with an extensive range of products, Just For Pets promotes a one stop shop for all pet owners. To view the Just For Pets website please click here. Youngs Animal Feeds based in Standon in Staffordshire is a wholesaler of equine and pet feeds as well as a manufacturer of the leading brands of high fibre horse feeds including Molichop. To view the Youngs Animal Feeds website please click here. 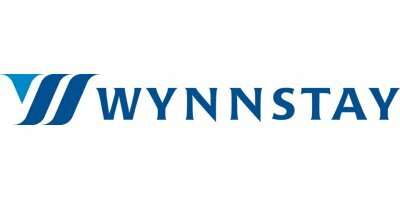 In 1992, Wynnstay converted from a co-operative to a Public Limited Company in order to secure the company's long-term future enabling the business to access alternative sources of capital for long-term investment. More recently, in 2004, the Group floated on the AIM Market of the London Stock Exchange where shares can be traded easily and company performance monitored by investors. Despite this change of status, Wynnstay is still farmer controlled; over 50% of the company's shareholders are local farmers, the remaining being outside investors and staff, all of whom own shares.